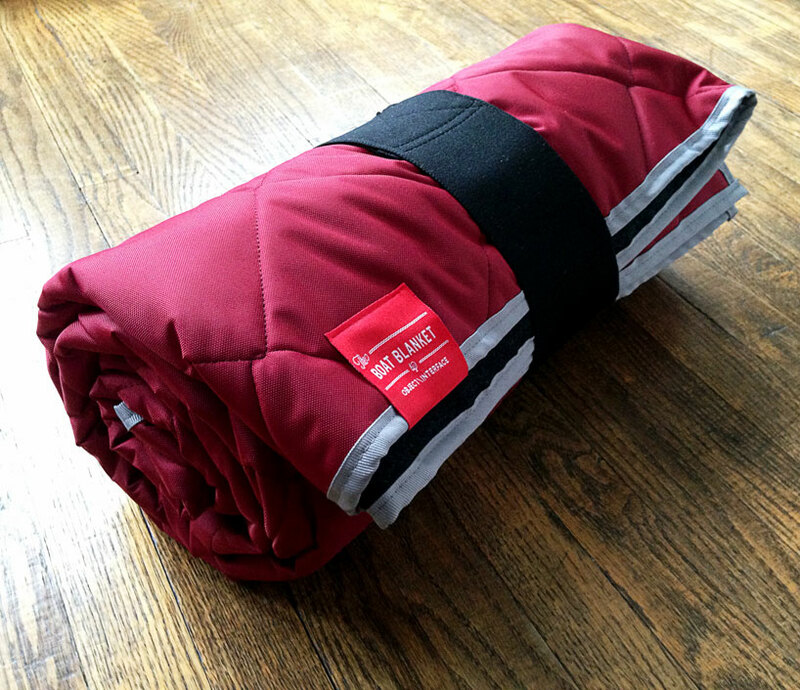 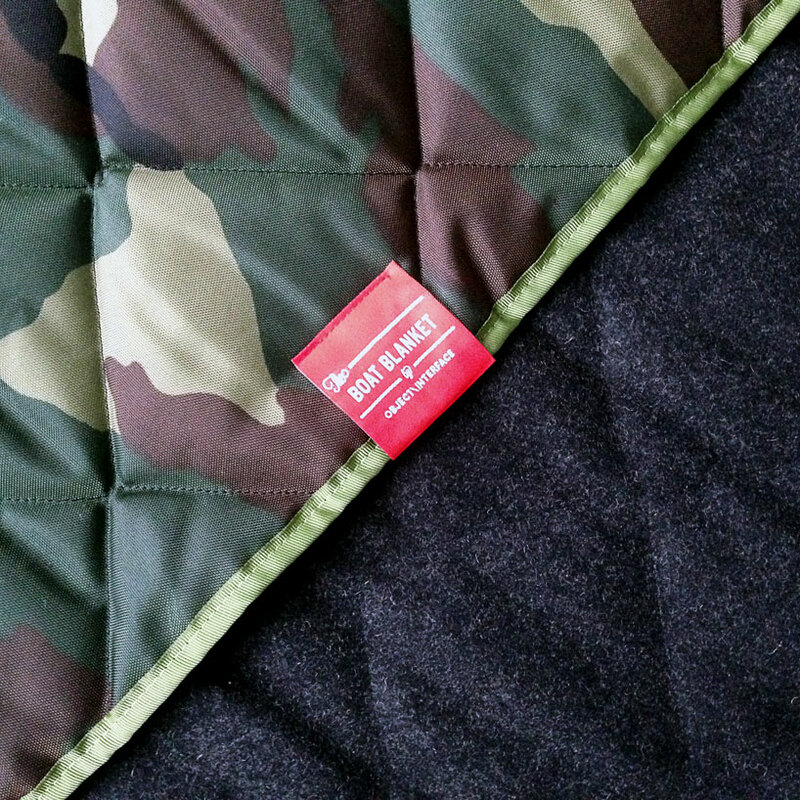 the ‘boat blanket’ by toronto-based object interface is a double-sided quilted cover designed to keep you warm and dry. 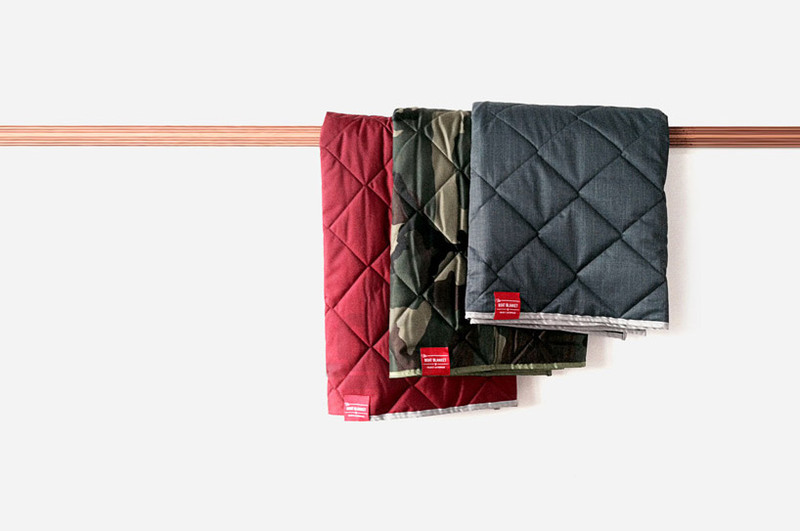 one side of the surface is made from plush wool while the other is water resistant nylon, fending off all nature elements whether you’re in a boat, at a big game or relaxing at a picnic. 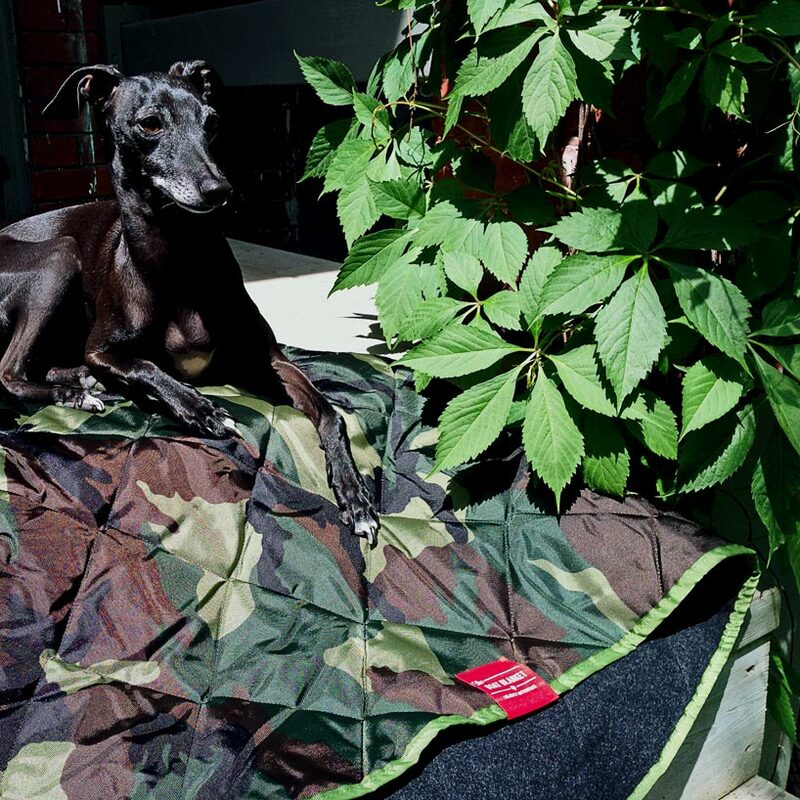 rolling it up with the included military grade elastic band turns it into a comfy pillow fit for a living room. 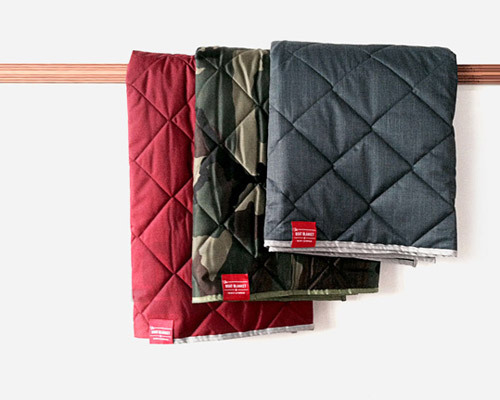 the series of blankets is optimized for both indoor and outdoor use. 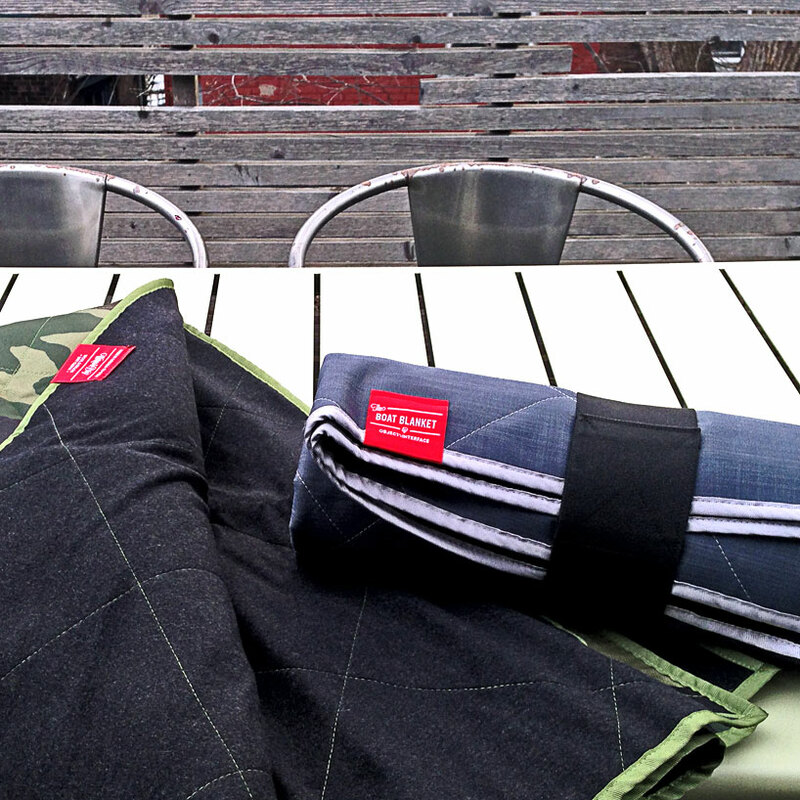 they are available in three colors: blue/gray, red, and camo.